Ray & Robin's Hobby Center! 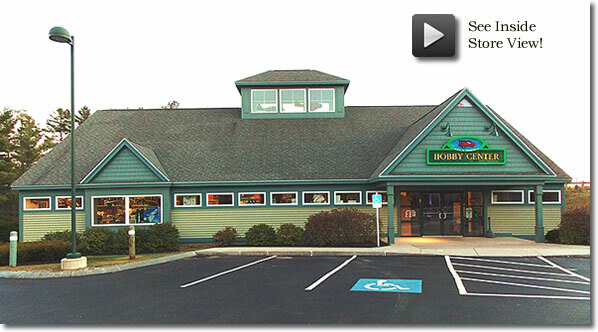 Located at the rear entrance to the West Falmouth Crossing Plaza off exit 53 (formerly 10) of the Maine Turnpike (I-95) in West Falmouth Maine. 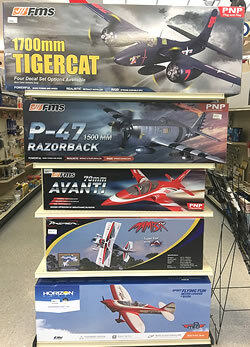 Ray & Robin's is home to a staggering array of radio controlled planes, boats and cars as well as plastic models, rockets, doll houses, race car sets and tons more! We also have a competition electric car/truck race track in the basement of the Hobby Center. 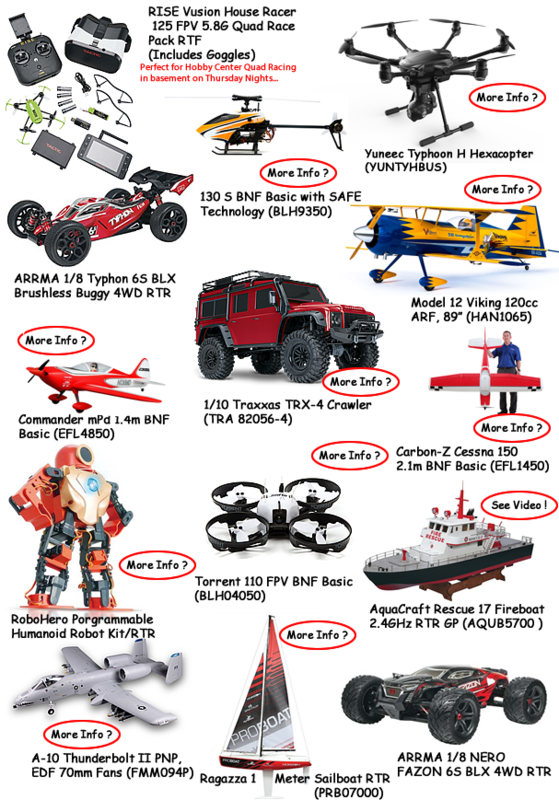 Our knowledgeable staff will help you choose the right gift for kids from 1 to 93. Hobby Center Tour with Ray Labonte. E-Flite durable EPO foam, 55 - 78 inch wingspan scale detailed airplanes. 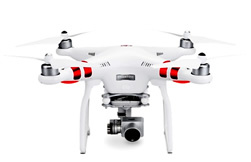 • The Hobby Center Now Services all brands of Drones... See Burt Dumond for details.